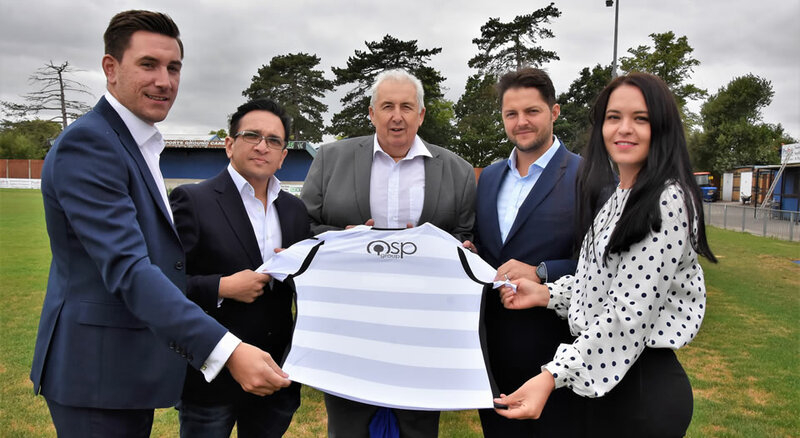 OSP Group, the Bishop’s Stortford-based construction recruitment company, has signed a renewable 12-month corporate partnership with Bishop’s Stortford Football Club. The club play in the Bostik League and has high hopes of progressing well this season. OSP Group becomes one of a selected group of official club partners. Costas Pieri, Director of OSP Group: “The OSP Group has recently opened our third office in the local area. We plan to work with the club and help the Blues particulary at this very sad time following the death of Vice-Chairman John Turner yesterday. I know he was much loved by the club and I would like to offer my condolences to his family”. OSP Group has also given a donation to the local food bank.